Happy Thanksgiving! 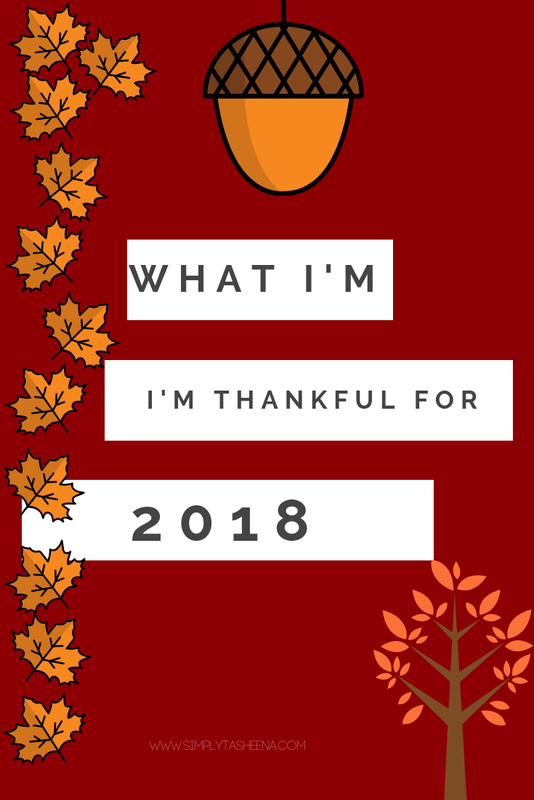 Last year, as well as in 2012 and 2014, 2016 I shared what I was Thankful for on the Blog here, here and here. I also shared last year here. I can't believe has fast this year flew by. I surely wish that someone would have warned me to not rush being an adult. Besides, it's really a setup. The days months, and years really just fly by. I vividly remember being in 9th-grade and feeling as if the 12th grade was so far way, boy. If I only knew then what I know now. *sigh*. This year Michael entered into his sophomore year, the end of the football season is winding down. He played junior varsity this year, and suited up for varsity, and actually had the opportunity to play in some of the varsity games. One thing I can say is football is truly his first love. He's been playing since about eight years old and has been playing everything since. I'm so Thankful for his drive in and out of school! He's kindhearted and would give his last to someone in need. I'm truly Thankful for my tribe who assists me with my son. Having an only child at home has its challenges. My son is loved by so many friends and family, who really go above and beyond for him. I can't be at all places, all of the time, and they make sure he's fine when I can't. I'm also thankful for those who say encouraging words to him without having to be prompt. You have no idea how much you truly mean to me. 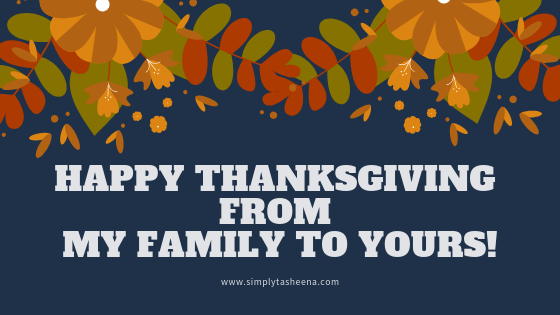 To my Blogger Community. I've been blogging for over 7 years now. Though it's not easy at times, it's so rewarding. You have no idea how excited I am when I publish content. It's really like having BFF's all over the world! I've met so many amazing people through my blog, and I really enjoy reading all of your amazingly sweet comments. I don't take your support for granted! Thank You!! !